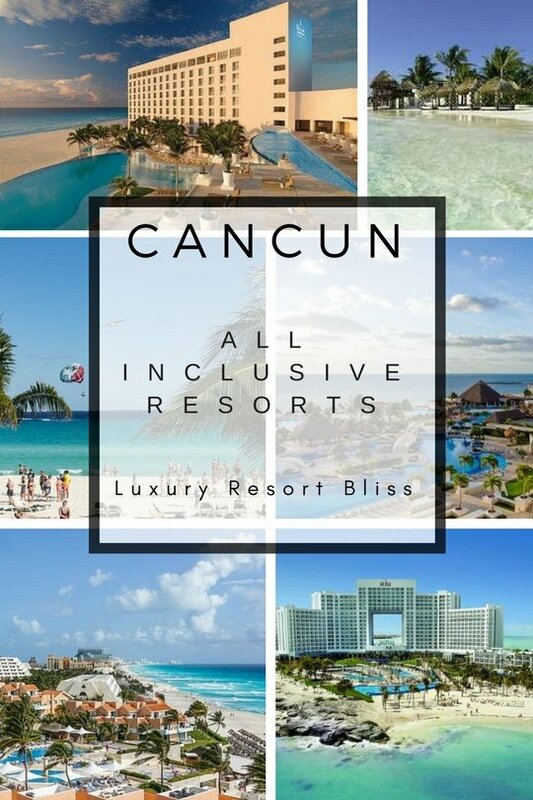 Welcome to the top 50 Cancun All Inclusive Resorts Bliss List with reviews. We have also included a video play list below to allow you to see video on each of the resorts to go along with the reviews. Enjoy! When to go to Cancun? Conventional wisdom has it that the best time to go to Cancun is when everyone else does in the peak season from Christmas to April. Room rates are always competitive in Cancun and a good deal is possible year round. Keep in mind march break can bring the party crowd. September and October is the peak of Hurrican season but if you are booking at short notice you may do well. Azul Beach Hotel By Karisma All Inclusive is one of the best (if not the best) all inclusive resorts in Cancun. We reviewed this 100 room resort on our Cancun Family All Inclusive Resorts review because of how kid friendly it is. Little oceanside cabanas and big thatched roof rooms provide for quiet a peaceful atmosphere for family vacations. Adults can enjoy the four quality restaurants and facilities while kids hang out and have a great time in the quality run kids club with it's multitude of games rooms. 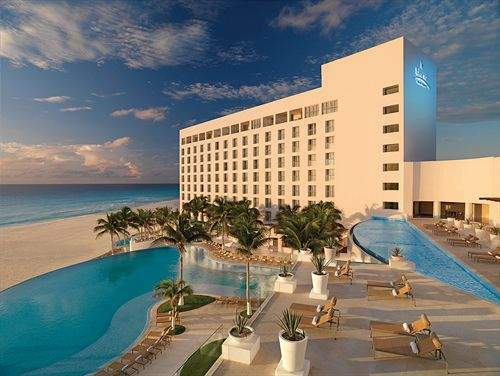 Hard Rock is an entertainment rich all inclusive on the beach in the Heart of the Cancun hotel zone and features infinity pools, swim up bars, ocean or lagoon views, a top class spa, diverse and interesting restaurants - including Brazilian. If you don't mind the noise kids will love all the surprises like jetted spas in the room, a great kids club and more. If you have young children, this is another of the all inclusive Cancun Family Resorts you are sure to love. But here you want to avoid the party times with kids as it also seconds as a party resort when that time of the year comes around. 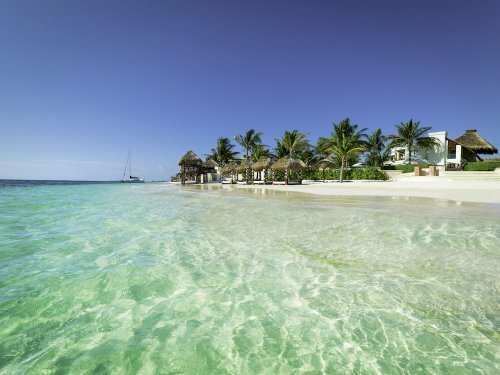 The good part for families here is the calm beach on the quiet side of Cancun. This beach is free of the sea grass found at the more popular beach. Full-service spa restaurants,including multiple European, Asian to Mexican, options will keep you deciding on something different each meal. The resort is active with music and shows and entertainment rolling on night and day. Kid's Club Details: a fully supervised children's program for the 3-12 year olds. The staff will entertain the your children with a different daily program with science, nature, and exploration activities. Sandcastle competitions, arts & crafts, games room, beach movies on the big screen TV, and an ocean trampoline make sure they are stimulated throughout their vacation. Weekly camp-out adventures in which children will sleep in tents at the club or on the beach with parents approval make for an interesting personal growth opportunity. Amenities: all inclusive meals, drinks, activities, entertainment, non-motorized water-sports (kayaks and tours, snorkeling, sailboats, trikes, water aerobics, jumping raft). Full breakfast, lunch, dinner and snacks, parties, entertainment venues, tennis, beach volleyball, unlimited premium beverages, business center; open 24 hours a day, Explorer's Kids Club. Rates: are based on adult occupancy. [Note: Check up to date rates when booking] Those under 3 years are free. Rooms: There are 480 guest rooms and suites "tastefully decorated in a contemporary Mexican style with marble and Colonial mosaics". King-size bed or two double beds, private balcony, marble floors, bathroom with bathtub and shower, electronic safe box, air-conditioning with individual control, 24-hour room service. Reviews: Guests talked about how many friends their children made and the safety they experienced in the reviews. Often rated as a great place for a family with children. Lots of use of the word dreamy used in a good sense in these reviews. We search a range of review websites and found few issues. About the only problem you may get is finding a room available. 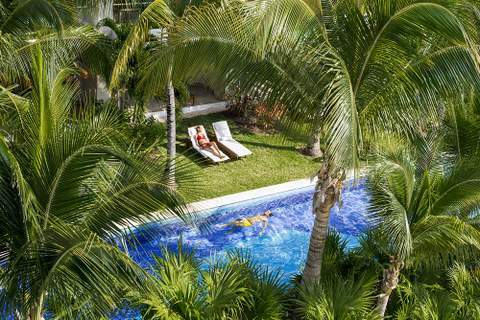 Beloved Playa Mujeres is a step up in luxury from your average Cancun adults only all inclusive resort. The white sands of Playa Mujeres a few minutes to the minutes from Cancun are immaculate. A welcome addition to the 5-star boutique hotel range and one to seek out if you are looking for a quality spa and choices in fine dining. More information and special offers on Beloved Playa Mujeres. Le Blanc (image below) Sophisticated resort with style and lavish personal attention to detail. On the beach near the marina. with two awesome golf courses and 8 pools. 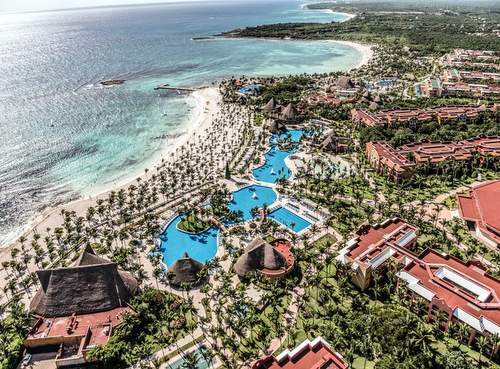 You may also like a short drive south and enjoy the Riviera Maya all inclusive resorts. Looking for daily family vacation deals in Cancun. 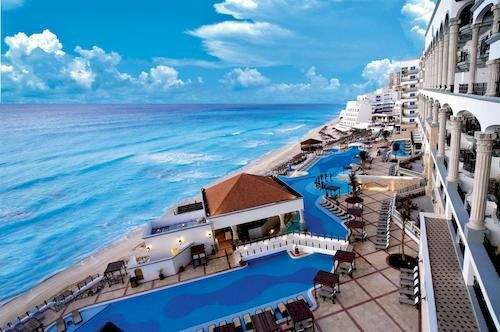 The best Cancun resort discounts are available here. Add flights and transfers once you find the Cancun family vacation resort of your choice. 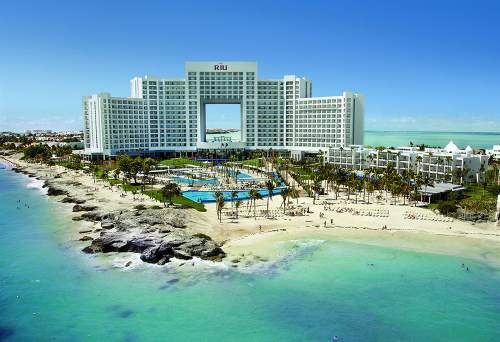 If you have not seen the best Cancun Family All Inclusive Resorts this is a great place to begin putting together a great package and we recommend it.